FORT MYERS, Fla., April 18, 2017 - The Edison Festival of Light is calling for entries for the 2018 Official Poster in celebration of the 80th Anniversary of the Edison Festival to be held in February 10-18, 2018. Artists and graphic designers are welcome to submit entries for the competition. The art can be of any medium and must be a completely original concept not used in other posters, promotions, events organizations, or materials. The deadline for submissions is at noon on June 15, 2017. The Edison Festival of Light is the largest and longest running festival in Southwest Florida. Designed to "Illuminate. Innovate. Celebrate. ", the Edison Festival recognizes the inventions of Thomas Edison, along with his contributions to Fort Myers and Southwest Florida. The artwork should represent the activities and events of the Edison Festival, the contributions and/or images of Thomas Edison, and imagery of Fort Myers and Southwest Florida. The poster is used for advertising the festival and in merchandising products and opportunities. Entries will be considered based on concept, artistic imagery, visual presentation, and merchandising opportunities. Detailed information on the contest rules and submission methods can be found at the Edison Festival website at www.edisonfestival.org. Designed to "Illuminate. Innovate. Celebrate. 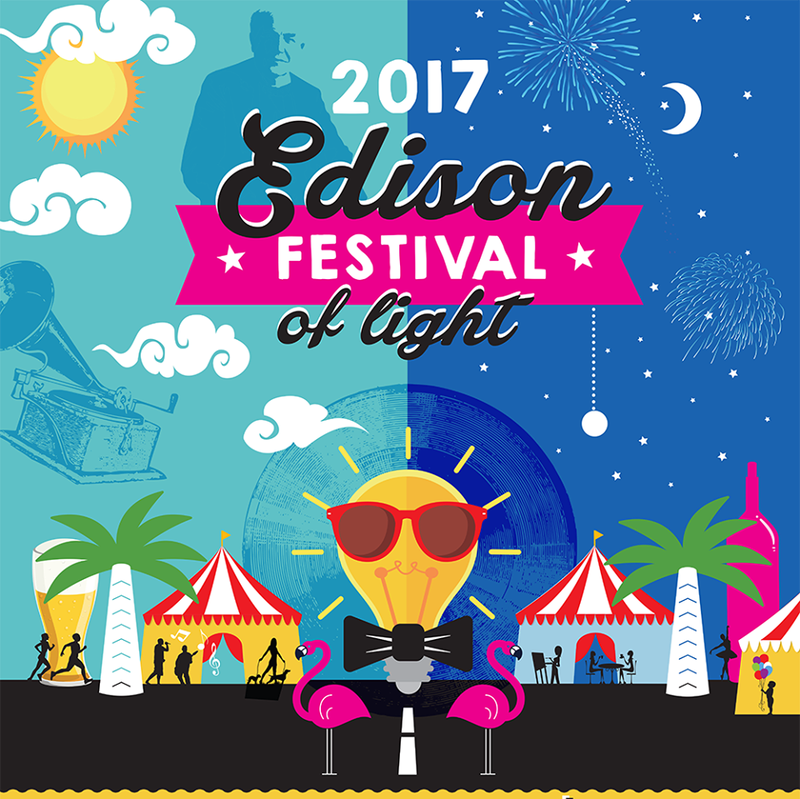 ", the Edison Festival of Light, Inc. honors Thomas Alva Edison's contributions to mankind including Southwest Florida, and seeks to improve the community by education and activities relating to Edison's works and values. For more information, visit www.edisonfestival.org or call 239-334-2999. Become a fan by following us on Facebook (Facebook.com/edisonfestival) and Twitter and Instagram (@edisonfestival). The Edison Festival of Light is a member of the Florida Festivals and Events Association and the International Festivals and Events Association.